I love the beautiful aged patina on the brass. 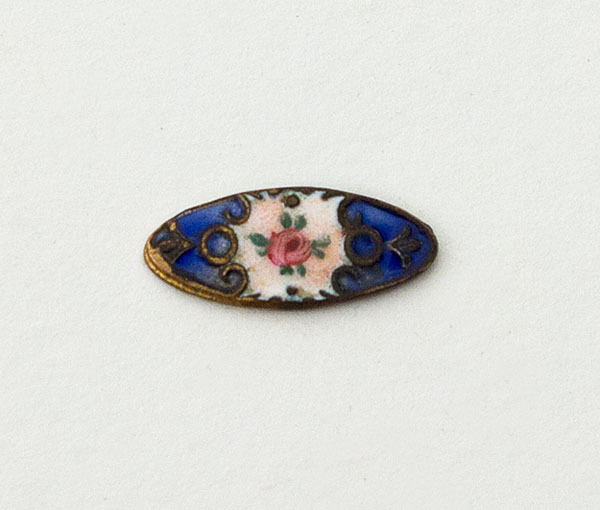 The elongated oval buttons have hand-painted rose centers, surrounded by dark blue enamel. 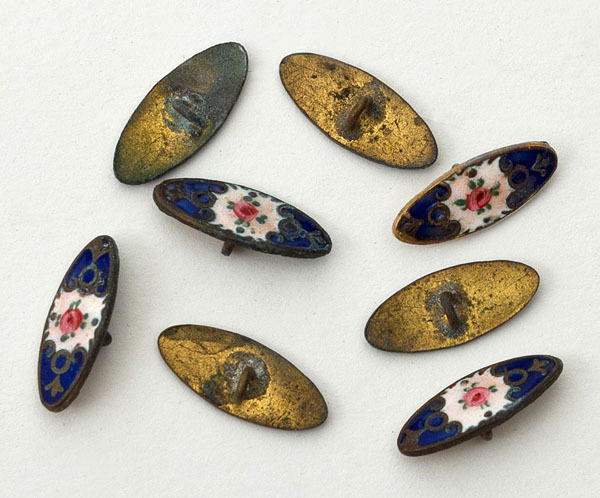 The brass backs have shanks. Each button is 3/4" x 1/4".